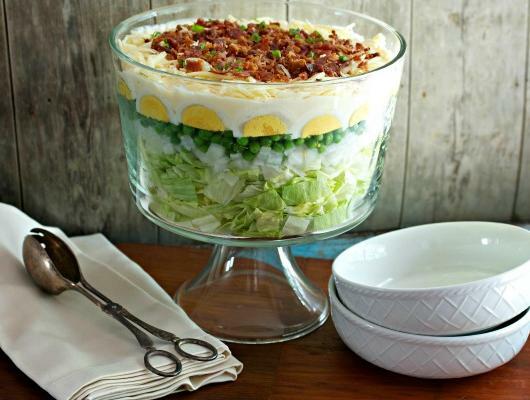 Using a 9x13 glass baking dish, layer the salad in the following order: lettuce, onion, frozen peas, and sliced eggs. 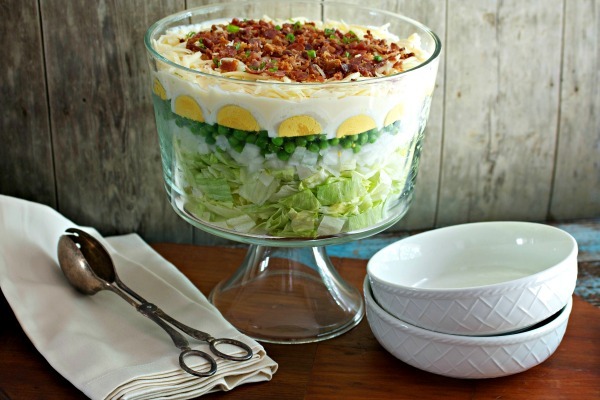 Completely cover top of salad with the dressing. Sprinkle top with the cheese and bacon. Cover with plastic wrap and store in refrigerator for at least 8 hours, or overnight. The classic Southern recipe that can be made in less than 15 minutes! Make it this Fourth of July or for your next gathering.